The elegant saree is a traditional heritage that women have passed on from one generation to another. Beautiful designer sarees always attract the attention of an Indian woman. She likes to wear the best wedding saree on important occasions of weddings. The Indian women’s fashion industry may have undergone a drastic change, but the saree is here to stay. It has never gone out of fashion, it will always be in vogue, and every woman will always have this desire to have some of the elegant sarees. At Craftsvilla, there is a huge collection of some of the best sarees, which will fascinate every woman. The grace and style that a perfectly worn saree has, no other outfit can have. Even today, many women prefer wearing cotton sarees to work. This is mainly because it gives a classy and professional look. When it comes to bride's wedding shopping one cannot miss out on buying rich silk and elegant zari work sarees. The bride looks ravishing in colourful red sarees with intricate golden zari work. Most of the women also have this fascination of them having beautiful sarees from the different states as part of their party wear saree collection. Like zari border bandhani sarees from Gujarat or the Paithani saree with dancing peacock designs from Maharashtra. No matter which special sari you are looking out for, you are sure to find it on our portal. No matter what the occasion, evergreen saree is suitable for every celebration. Whether it is a wedding, a party, or a traditional function at home, lovely rich zari work sarees look truly outstanding. On Craftsvilla we have affordable sarees for every occasion. We have a huge collection of sarees of different materials and works; which women can buy as per their requirement. The prices are economical and the quality is undoubtable. 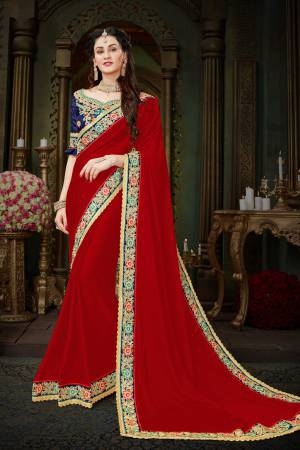 Online shopping is one of the best and easiest ways to get some of the classiest sarees at rates, which are truly competitive. We have a variety of designer sarees on our online portal at some of the best rates. Therefore, just don’t look out for rich zari work designer sarees anywhere else! Just go through our collection and get the best ones for your wardrobe. We know it very well that nothing in this world can separate an Indian woman from her love for a saree. The best place to get this beautiful ethnic wear is on Craftsvilla.